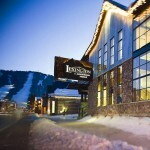 The Lexington at Jackson Hole is not available for online booking. Please submit an inquiry or call our agents to get pricing and availability information. All guest rooms offer Serta pillowtop mattresses with lush bedding, RUSK bath and body products, high speed wireless internet, refrigerator, microwave, coffee maker, iron, ironing board, hair dryer, full cable with ESPN package and free HBO, individually controlled heat and air conditioning, and complimentary hot breakfast every morning. Two Queen Suites w/ Private Living Area- This most popular room style comes with two queen sized beds, a private living area, sofa, two televisions, kitchenette, and fireplace. 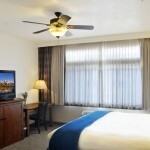 Luxury King Room- This room includes one king sized bed, a desk, sitting area, and a fireplace. 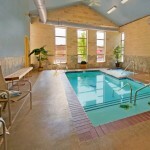 Courtyard Rooms- These rooms come with the option of either one king sized bed or two queen sized beds, heated bathroom floors, flat screen TV's, custom built furniture and the king comes with a Jacuzzi. 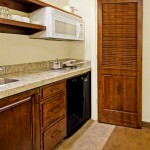 Specialty Rooms- The specialty rooms come with a multitude of options. One night stay: Full cost of reservation. 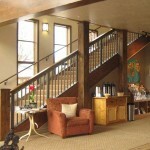 Multiple night stay: 50% of total reservation. Reservations must be cancelled 72 hours before check-in date for a full refund. Within 72 hours, the deposit is forfeited. No-shows will be charged. 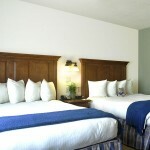 Children 12 and under stay free in parent's room with existing bedding. Rollaway beds are available for a nightly rate of $15. Cribs are available at no additional charge. Our airport shuttle is available free of charge to our guests from 7am - 9pm for transfers to and from the Jackson Hole airport. Please call the hotel directly at 307.733.2648 upon landing to request a pickup. Please be advised that our shuttle serves many functions and it may take up to 60 minutes for arrival at pick up point. Upon calling the hotel, you will be provided with an estimated pick up time. If that timing does not work for you, please ask the front desk agent for other transportation options. 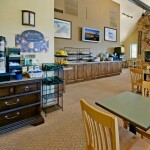 No Smoking: The Lexington at Jackson Hole is a non-smoking facility.